At a time when the demand for bilingual and dubbed versions of films is at an all-time high in Indian cinema, ace filmmaker SS Rajamouli of Baahubali: The Beginning fame, says that it is only feasible to release those films in multiple languages which have a universal human connect. Rajamouli's southern magnum opus Baahubali: The Beginning, which was made on a whopping Rs 100 crore-plus budget, released across the world in different languages like Malayalam, Tamil, Telugu and Hindi and minted over Rs 600 crore worldwide. Rajamouli says that the decision to release the film in a bilingual format depends on the subject of a project. "Each and every film cannot be released in all the languages. If you get a subject which is predominantly based on human emotions, which are general to everyone irrespective of caste, creed, region, language or culture specific - if you know that your story is based on those human emotions and it connects to everyone - then it is eligible to release in all the languages," Rajamouli said. "In the case of Baahubali: The Beginning, we believed it needs to be showcased to a wider audience," he added. The National Award winner and Padma Shri awardee says mediocre subjects cannot register huge footfalls at theatres. "Art is a very difficult business, and cinema is both art and business. "You just cannot say that it is all art, and vice-versa. So that way, one has to give space for another and you should be sensible enough to think of both angles," said Rajamouli. "If you are putting money in a film, there should be some avenue from where you can get the money back. No one wants to make films to be bankrupt. When you start believing in a mediocre subject thinking that it is going to fetch more in various markets just by pumping in more money to it, then that's where the problem starts," he added. 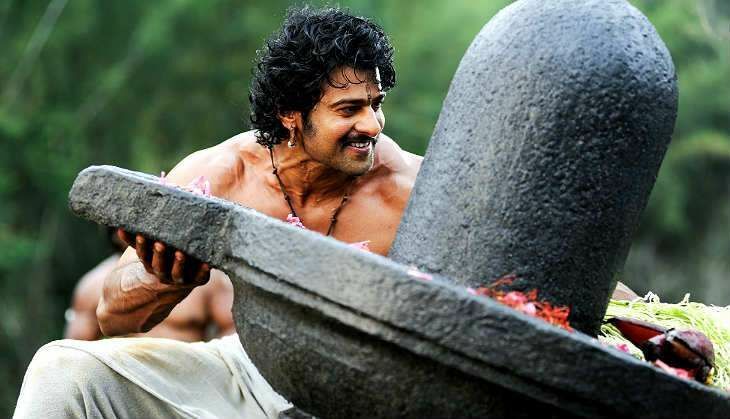 Baahubali: The Beginning, starring Prabhas and Rana Daggubati in the lead, is set to release next month in 6,500 screens across China - which is increasingly becoming an important market for Indian movies. "There has been a lot of effort from the producer's side to release it as a mainstream film there (in China). This is not the first time, as a lot of (Indian) films have released there before. But all of them have received a very small number of screens," Rajamouli said. "PK broke that (image) as it got a wide release there. Baahubali: The Beginning is going to release in 6,500 screens. Our film is going to release all over China. It's bigger than its India release," Rajamouli said. He also appreciated how since the "Chinese are very aggressive in their marketing, they have grown exponentially (in terms of filmmaking) when they decided to put their eye on cinema 10 to 15 years ago," adding, "I hope our film does well, not just for us, but for the string of Indian films to follow". Asked why he never thought of making Baahubali: The Beginning in Hindi and release it as a commercial Bollywood film, Rajamouli said: "When I started Baahubali: The Beginning and had the script and the schedule ready, we knew that I need my stars to give me their dates for two years. "Can you think of any of the Bollywood stars who can give their dates for two years without committing to any other movies? It wouldn't have happened." The sequel of Baahubali: The Beginning, titled Baahubali: The Conclusion, is slated to release in 2017.